Driving Under the Influence (DUI) charges are serious matters. Attorney Topazio has spent years successfully defending individuals charged with operating a motor vehicle while impaired by alcohol. For experienced and creative defense of misdemeanor and felony Massachusetts drunk driving charges, contact Boston Criminal Defense Attorney Steven J. Topazio for a free consultation about your case and your most promising legal alternatives. As an experienced litigator, Attorney Topazio understands that DUI cases present with complex legal issues that must be evaluated in order to develop a proper defense. Driving a motor vehicle is considered a complex divided attention task. Police frequently use field sobriety tests to detect impairment issues with operators by using divided attention tests. The battery of tests commonly used by police in these circumstances is referred to as standardized field sobriety tests. The goal of these tests is to measure a person’s sense of balance, coordination and acuity of mind in understanding and following simple instructions. Field sobriety tests are used by police to help them form an opinion as to an operator’s sobriety and whether that person should be arrested for operating under the influence of intoxicating liquor or let go. These tests are highly subjective and often inaccurate. Although DUI laws can be complicated, Attorney Topazio knows how to navigate these issues correctly for exceptional results. Recent changes in Massachusetts law have made the penalties for drunk driving in the Commonwealth much harsher than they have been before, and complicate the defense of OUI or DUI charges, especially for repeat offenders. Most of the new penalties for drunk driving reflect a set of legislative amendments known collectively as Melanie’s Law that went into effect in January 2006. While they certainly make the penalties for drunk driving more severe than they used to be, they don’t significantly alter the fundamental defense strategies used by experienced attorneys. At our law firm, we examine each case carefully to see whether any of the following approaches can reduce or eliminate your criminal exposure: challenge to the validity of the arrest, technical rebuttal of the blood alcohol evidence, examination of your prior DUI convictions to see which can be disregarded, and careful consideration of the most effective approaches to keeping your driver’s license intact and minimizing your risk of jail or prison time. We represent people facing DUI/OUI charges for the first time, people with prior drunk driving records, underage or juvenile drivers arrested with alcohol, and university students arrested for DUI/OUI throughout the Commonwealth. For additional information about our ability to protect your interests effectively in Massachusetts drunk driving cases, contact Boston Criminal Defense Attorney Steven J. Topazio online or call to schedule a free consultation. OUI Liquor MGL c 90 § 24; Draeger Alcotest 9510 – Conviction vacated and client found Not Guilty after trial. The client, a 68 year old business professional, was arrested for drunk driving after being observed operation the wrong way on Route 290 and thereafter being stopped by police. The client was observed to have glassy and bloodshot eyes and the Trooper detected an odor of alcoholic beverage emanating from the vehicle. The client was asked how much he had to drink that evening and admitted to consuming a couple of drinks while waiting for his dinner. The Trooper being concerned about the client’s ability to operate a motor vehicle safely asked him to submit to some field sobriety exams. Following the field sobriety tests, the client was arrested. At the station the client submitted to a Breath Test with the results of (0.90, 0.80, 0.87). The client hired Attorney Topazio to defend him. Massachusetts has a “per se” law meaning that if the Commonwealth can prove by means of a breath test that an individual’s BAC (Blood Alcohol Content) is .08%, or greater, then by statute he will legally be presumed to be impaired and lack the ability to operate a motor vehicle safely. As a result of the “Per Se” law, the client initially admitted to sufficient facts to resolve his case and received a CWOF on this OUI case. Following the resolution of this case, Attorney Topazio filed a Motion for New Trial alleging newly discovered evidence which would have excluded the Breath Test results. The court agreed and granted the motion for New Trial and vacated his client’s previous admission and restored the OUI case to the trial list. Attorney Topazio alleged that newly discovered evidence surfaced in his client’s case regarding the fact that all breathalyzer tests using the Draeger 9510 calibrated and certified between June of 2012 and September 14, 2014, subject to the possibility of a case-by-case demonstration of the reliability of OAT’s calibration of a particular device to a trial judge in the court in which the Commonwealth seeks to offer the result as evidence, have been excluded as evidence in any OUI trial. The exclusion of the Breath Alcohol Content Percentage Results Using the Alcotest 9510 and Any Opinion Testimony for any breathalyzer results from a machine calibrated and certified before September 14, 2014 are in question according to the Memorandum Of Decision On Consolidated Defendants’ Motion To Exclude Breath Alcohol Content Percentage Results Using The Alcotest 9510 And Any Opinion Testimony by Robert A. Brennan, Justice of the District Court, Dated February 16, 2017. Today Attorney Topazio proceeded to trial with the previous Breath Test being excluded, and his client was found not guilty. Drunk driving – OUI Liquor MGL c 90 § 24 – Conviction Avoided. The client, a 25 year old college graduate, was arrested for drunk driving after he rear ended a motor vehicle in traffic that was stopping for a stop light and the police were called. The client informed police that he left a party where he had multiple drinks. The client was unable to find his driver’s license and produced a credit card instead. After smelling an odor of alcohol coming from the client, the police ordered him out of his motor vehicle and requested that he submit to several field sobriety tests. After being unable to satisfactorily perform several field sobriety exams, the client was arrested. The client hired Attorney Steven J. Topazio to represent him. Attorney Topazio obtained the booking video and 911 call, and copies of photographs of the accident scene and vehicles involved. After reviewing the evidence with his client, Attorney Topazio met with the Assistant District Attorney assigned to the case. Attorney Topazio learned that the prosecutor wanted a guilty conviction upon any resolution due to the accident. Attorney Topazio argued that the accident was a low impact event that did not injure the other operator and as a result was successful in negotiating a resolution of the case with the Assistant District Attorney. Attorney Topazio proposed resolving the case by way of an admission to sufficient facts with the result of giving his client a CWOF. The court initially rejected the CWOF because of the accident but Attorney was able to persuade the court to adopt his position. The client, a 26 year old college graduate, was arrested for drunk driving second offense and causing serious bodily injury after she was caught on video striking a Boston Globe delivery truck while on Route 93 NB and causing that Boston Globe truck to fall off the elevated portion of 93 and to land 40 feet below on 93 SB. The accident severely injured the driver of the Boston Globe Delivery van. The client hired Attorney Steven J. Topazio to represent her. Attorney Topazio met with the Assistant District Attorney from the Major Crimes Unit who was assigned to the case. Attorney Topazio learned that the prosecutor was considering indicting his client so as to move the case to Superior Court. Attorney Topazio was successful in negotiating a resolution of the case with the Assistant District Attorney. Attorney Topazio proposed to have his client change her plea to guilty in consideration of having her complete a 14 day residential alcohol treatment program with probation in lieu of indictment and committed sentence, which had been recommended, and the prosecutor and court agreed. Result: Incarceration avoided with a 14 day treatment program. The client, a 22 year old college senior, was on probation in another court for drug offenses, was arrested for drunk driving after crashing his car in a congested Boston neighborhood, and hired Boston Criminal Defense Lawyer Steven J. Topazio to defend him. Attorney Topazio obtained photographs of the crash scene and his client’s car which had flipped onto its roof after allegedly striking several other cars. The client could not recall the events leading up to the crash after leaving a local bar. According to the police report, a civilian witness pulled the client from his car after it crashed and described the client as being severely intoxicated. Attorney Topazio met with the Assistant District Attorney in an attempt to resolve the case. The client had already received two CWOF’s on his CORI and wanted to resolve this case in the same fashion so as to avoid a conviction or possibly jail time. Despite the severe accident and several damaged cars, Attorney Topazio requested that the court give his client a CWOF upon his change of plea, so as to protect his client’s record and allow him to obtain a hardship license provided he enter into and complete the alcohol education program, and the court agreed with the condition that his client pay restitution for all the vehicles involved in the accident. The client, a 22 year old college senior, was on probation for two years after receiving a continuance without a finding on several drug related offenses, was arrested for on drunk driving charges while on probation which violated his probation, hired Boston Criminal Lawyer Steven J. Topazio to defend him. A violation of probation could result in revocation of the client’s CWOFs where guilty findings could be imposed and where the client could face up to 2 ½ hears in a house of correction and end up a convicted felon. The client had no prior record and did not want to go to jail or end up with a felony conviction on his record. Distribution of a Class B substance which the client was on probation is a felony charge. Attorney Topazio continued the final surrender so as to prepare for hearing. According to the police report, the drunken driving offense involved the client crashing and flipping his car onto its roof. Attorney Topazio wanted to negotiate a resolution of the probation violation prior to a resolution of the DUI charge due to the seriousness of the accident. Today, although the probation department was not prepared to proceed with the final surrender hearing, Attorney Topazio agreed to have his client stipulate to a violation of probation instead of continuing the hearing on the condition that his client’s CWOFs remain intact and that his client’s probation be renewed to the original date and the court agreed. Result: Probation renewed and Client avoids a felony conviction and possible jail sentence. The client, a 21 year high school graduate, was arrested for drunk driving, and hired Boston Criminal Attorney Steven J. Topazio to defend him. According to the police report, state police were dispatched to a report of a two car accident on Route 93N. While speaking with the client, the officer detected a strong odor of alcohol emanating from within the passenger compartment. The officer also noted that the client’s eyes were red and glassy and his speech was slurred. The client performed a field sobriety test in which the client failed all 3 tests. The client was then arrested and consented to a Breathalyzer Test which recorded a 0.19 BAC%. A 0.19 BAC% indicates that the client was more than twice the state limit of 0.08 BAC%. Because of the difficult fact pattern the client wanted to resolve the case by way of a change of plea in lieu of going to trial. To resolve the case, the Assistant District Attorney wanted the client to have a criminal record and be found guilty due to the motor vehicle accident and the high Breathalyzer result. Today Attorney Topazio persuaded the judge to give his client a continuance without finding (CWOF) in lieu of adopting the Commonwealth’s recommendation which would have resulted in the client being found guilty. Result: Client avoids a conviction upon a change of plea and receives a CWOF which allows him to honestly answer on any job interview that he has never been convicted of a crime. The client, a 23 year old individual, was arrested after his motor vehicle struck another motor vehicle in traffic, was represented by Boston Criminal Attorney Steven J. Topazio. According to the police report, after the police arrived on the scene of the accident, the police observed the client to be under the influence of narcotics or alcohol and when the officer asked the client if he had been drinking the client responded by stating that he had not been drinking but only smoked a joint of marijuana. The client was transported via ambulance to the hospital. The ambulance report indicated the client smoked marijuana. The Massachusetts General Hospital reports provided conflicting reports regarding the client’s lack of sobriety. Attorney Topazio filed motions in limine to redact evidence of causation from the medical reports arguing that statements as to the identity of the person responsible or legal significance of medical symptoms are not admissible under the medical records exception to the hearsay rule. Today, at the day of trial, Attorney Topazio pointed out that in order to show an OUI-drugs violation of G.L. c. 90, § 24(1)(a)(1), the Commonwealth must demonstrate that the defendant operated a motor vehicle on a public way while under the influence of a scheduled drug as defined in G.L. c. 94C, § 1.” Commonwealth v. Monteiro, 71 Mass. App. Ct. 1116 (2008). Attorney Topazio convinced the Commonwealth to dismiss all charges against his client. The Client, a 50 year old professional, lost his right to operate a motor vehicle for 8 years following a 3rd offense drunk driving conviction, hired Boston Criminal Defense Attorney Steven J. Topazio to help him obtain a hardship license. When the length of suspension is 8 years, the Registry of Motor Vehicles will allow an individual to become eligible for either a work hardship license after 2 years of the suspension, or a General hardship license after 4 years of the suspension. Today, Attorney Topazio established that his client had the appropriate documentation for a legitimate hardship establishing his client’s need for a hardship license after 2 years of his client’s suspension. Result: Work hardship license granted subject to interlock restrictions. The Client, a 50 year old RN, who previously received a CWOF on an OUI offense in 1980 and a second CWOF on an OUI offense in 1996 was arrested for a third offense OUI in 2009 and refused to submit to a Breathalyzer. Pursuant to the Safe Roads Act or (Melanie’s Law amendments) in 2005 to Chapter 90, section 24D(1)(f)(1), the Registrar suspended the Client’s license for a period of five (5) years for the breathalyzer refusal instead of 180 days, and an additional eight (8) years on the OUI offense after he pled guilty, hired Boston Criminal Defense Attorney Steven J. Topazio to represent him. On May 17, 2012, the Supreme Judicial Court, in the case of Souza v. Registrar of Motor Vehicles, SJC-11123, concluded that the Legislature did not intend an admission to sufficient facts to be treated as a conviction pursuant to G.L. c. 90, § 24(1)(f)(1) and ruled that the registrar was not authorized pursuant to statute to suspend the plaintiff’s driver’s license for more than 180 days on account of his refusal to take a breathalyzer test, because the plaintiff had not previously been convicted of a violation of G.L. c. 90, § 24. Today, Attorney Topazio appealed his client’s suspension to the Registry of Motor Vehicles and by arguing the Souza case convinced the Registrar to vacate the five year suspension and reduce it to 180 days. Although the Client received an eight (8) year license suspension for the third offense OUI, due to the reduction in the license suspension, he immediately became eligible for a DWI work hardship license since he was more than 2 years into his DWI revocation. Result: Five year suspension vacated and reduced to 180 days and Client immediately became eligible for a work hardship license. The Client, a 37 year old restaurateur, who previously received a CWOF on a first offense OUI was arrested for a second offense OUI and refused to submit to a Breathalyzer. Pursuant to the Safe Roads Act or (Melanie’s Law amendments) in 2005 to Chapter 90, section 24D(1)(f)(1), the Registrar suspended the Client’s license for a period of three (3) years instead of 180 days, hired Boston Criminal Defense Attorney Steven J. Topazio to represent him. Attorney Topazio appealed the Registrar’s finding to the Board of Appeal on Motor Vehicles pursuant to Chapter 30A, section 11 arguing the suspension should be reduced to 180 days because the Registrar was without authority to calculate a three-year suspension for a chemical test refusal suspension by including the CWOF as a prior offense. Attorney Topazio argued that a prior OUI offense, that was continued without a finding (CWOF), should not be treated as a conviction for purposes of the enhanced penalty for the refusal of the chemical test pursuant to Chapter 90, section 24(1)(f)(1), but the Board of Appeals disagreed and affirmed the Registrar’s decision. On May 17, 2012, the Supreme Judicial Court, in the case of Souza v. Registrar of Motor Vehicles, SJC-11123, concluded that the Legislature did not intend an admission to sufficient facts to be treated as a conviction pursuant to G.L. c. 90, § 24(1)(f)(1) and ruled that the registrar was not authorized pursuant to statute to suspend the plaintiff’s driver’s license for more than 180 days on account of his refusal to take a breathalyzer test, because the plaintiff had not previously been convicted of a violation of G.L. c. 90, § 24. Today, Attorney Topazio returned his client to the Registry of Motor Vehicles and by arguing the Souza case convinced the Registrar to vacate the three year suspension and reduce it to 180 days. Result: Three year suspension vacated and reduced to 180 days. The client, a 32 year old electrical engineer with a Masters degree, was arrested on Christmas Eve for OUI after crashing his car near Revere Beach, hired Attorney Steven J. Topazio to represent him. Attorney Topazio was confronted with facts that the State Police found the Client trapped in his motor vehicle which was on its side in the middle of the roadway. According to the police report the Revere Fire Department arrived on the scene and removed the Client from his car with the Jaws of Life. The Client, who was disoriented, and observed to be extremely unsteady on his feet, was described by the Trooper as having a strong odor of alcohol coming from his person. The Client was asked to submit to a field sobriety examination but was unable to perform any field sobriety tests due to his unsteadiness. Once at the State Police Barracks, the Client, after receiving his Miranda Warnings, submitted to a series of field sobriety tests but failed all of them according to the Troopers. The Client further submitted to an analysis of his breath (breathalyzer) and recorded a .23 BAC%. 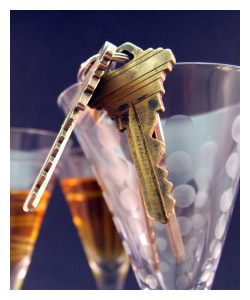 Under Massachusetts law, a defendant is presumed intoxicated if he receives a reading of .08 BAC% or greater. Due to the motor vehicle crash and the .23BAC%, Attorney Topazio met with the prosecutor to negotiate a resolution of his client’s case and persuaded the Commonwealth to dismiss all charges against his Client if she would accept a negotiated plea on the sole remaining OUI charge, and the Commonwealth agreed. Today, despite the Commonwealth’s recommendation of a guilty finding to be imposed on the OUI charge, Attorney Topazio persuades the Court to give his client a CWOF on the OUI charge on the condition that his client complete the court’s alcohol education program. Result:All charges dismissed except OUI charge where Client receives a CWOF and thus avoids a conviction on his record. The client, a 32 year old businessman, was stopped in the early morning hours when he was observed by undercover police speeding through the narrow roads of the North End of Boston. According to the police report, the officer observed the client fail to stop for a red light, spinning his tires, and accelerate over the posted speed through the narrow streets of the North End. According to the police report, during the initial conversation the officer observed an odor of alcohol coming from the client who spoke with slurred speech and whose eyes were observed to be severely bloodshot. The report further indicated that the client admitted to consuming alcohol and told the officer that he was only looking for a parking space. According to the police report, the client attempted to perform the nine step walk and turn sobriety test but couldn’t complete same and told the officer that he wouldn’t attempt any further tests because he was too nervous. The client after being arrested refused to submit to a breath test. Attorney Topazio spoke with the Commonwealth and argued that there was insufficient evidence to convict his client for OUI and requested that the Commonwealth dismiss the OUI charge and that his client would offer a change of plea on the Reckless Operation of a motor vehicle charge, but the Commonwealth refused. Attorney Topazio pushed the case to trial, refusing to allow his client to tender a plea to the OUI charge. At trial, Attorney Topazio attacked the Commonwealth’s case, establishing that the arresting officer deviated from his OUI training in only attempting to administer one field sobriety test instead of three to determine sobriety. Through cross examination of the arresting officer, Attorney Topazio elicited testimony that his client was cooperative with the officer, only looking for a parking space when stopped, and extremely nervous when attempting the field sobriety test. Attorney Topazio argued that his client was entitled to be acquitted of all criminal charges because the Commonwealth had not met its high burden of guilt beyond a reasonable doubt. Today, Attorney Topazio was successful in obtaining a split verdict for his client. The client was found not guilty of the more serious OUI offence, but guilty of reckless operation of a motor vehicle charge. Despite this split verdict, the client avoided jail time by receiving a 30 day suspended sentence with probation for one year. Result: Not Guilty after trial on OUI charge, with guilty probation on reckless operation charge. The client, 30 year old professional boxer, went to a friend’s house in Rowley to watch the fights when without his knowledge was given marijuana brownies to eat. Attorney Topazio learned that his client had no reason to anticipate the intoxicating effects of the marijuana laced brownies when he ate them as he only believed he was eating regular brownies. Despite this fact, the client attempted to drive home after he learned what he ate when he got into an accident and was described by passer-bys as freaking out and yelling for assistance. When police arrived, the client was found with his eyes closed and unresponsive to verbal and physical stimuli. According to the police report, the officer performed sternal rubs on the client until he could provide coherent responses to the officer. According to the police report, the client admitted to consuming marijuana brownies at a friend’s house and his eyes were observed to be severely bloodshot. The client gave the same history to paramedics when they arrived. Unable to stand on his own, the client was placed on a stretcher where the officer administered a Horizontal Gaze Nystagmus test and had the client submit to a portable breath test. The portable breath test returned a result of 000% BAC, ruling out alcohol as the cause of the client’s impairment. The client was transported by ambulance to a local hospital where a medical emergency was ruled out as the cause of the client’s condition. For medical purposes, the client voluntarily provided a urine sample which tested positive for the presence of cannabis or marijuana. Attorney Topazio met with the prosecutor who was seeking a conviction on all charges, and argued that the Massachusetts OUI statute punishes only “the voluntary consumption of alcohol or drugs whose consequences are known or should be known to the user,” Commonwealth v. Wallace, 14 Mass. App. Ct. 358, 360–361 & n.7, 439 N.E.2d 848, 850–851 & n.7 (1982). Attorney Topazio argued that a defendant is entitled to be acquitted if his intoxication was caused by an involuntary intoxication since the client had no idea of what would happen to him after he ate what he thought were regular brownies. Today, unable to convince the Commonwealth to dismiss the entire case, Attorney Topazio was able to convince the Commonwealth to agree to a CWOF on the OUI – drugs charge on the condition that the remaining counts be dismissed, in lieu of pushing the case to trial and risking having his client to disclose who provided or distributed to him the marijuana brownies, and the court agreed. Result: Client accepts a CWOF on single count of OUI – drugs, with remaining counts being dismissed. The defendant, a real estate agent, was arrested for operating under the influence after getting into a rear end collision with another vehicle, hired Attorney Topazio to represent him. According to the police report, after the car accident, the defendant fell asleep in the driver’s seat of his motor vehicle. When the officers woke the defendant up, he could not produce his driver’s license. The officers detected a strong odor of alcoholic beverage emanating from the defendant, who also had glassy and bloodshot eyes. Due to the defendant’s unsteadiness, he could not perform a field sobriety test. The defendant who was arrested, refused to take a breath test which resulted in the Registry of Motor Vehicles in suspending his client’s right to operate a motor vehicle for 180 days. Today, Attorney Topazio convinced the District Attorney to dismiss the OUI charge on his client’s plea to a continuance without a finding “CWOF” to an amended complaint of negligent operation, and the court agreed. A dismissal of the OUI offense for the lesser charge means that his client will not be obligated to complete the first offender’s alcohol program usually associated with first offense drunk driving charges, nor would he suffer any additional loss of his driver’s privileges. Upon the court’s acceptance of his clients change of plea, Attorney Topazio filed a motion to restore his client’s driver’s license and end the 180 day license suspension due to the breath test refusal, arguing that there is a rebuttable presumption that his client’s license shall be restored as a result of the amended complaint pursuant to M.G.L. c 90 § 24(1)(f)(1), and the court agreed. Result: OUI charge dismissed upon plea to amended complaint of negligent operation and driver’s license restored per order of the Court. Result: After hearing the defendant’s license suspension vacated and driving privileges issued fulltime forthwith. The defendant, a taxicab driver and owner of a taxi medallion, was arrested on April 15, 2010 for operating under the influence of alcohol (also known as OUI or DWI) when he was observed by a private citizen who informed local police that the taxicab was operating erratically. When the police arrived, the taxicab was observed to cross the double yellow line and was pulled over. The officer who detected an odor of alcohol coming from the defendant had him step out of his vehicle. After failing several field sobriety tests, the defendant was arrested. The defendant attempted a breathalyzer but intentionally did not provide a sufficient volume of breath for the test to complete which resulted in a refusal. As a result, his driver’s license was suspended for 180 days for the breath test refusal. At his arraignment, the defendant was appointed a court attorney and his case was continued for two months for pre-trial conference. With mounting expenses, no driver’s license or ability to earn an income from his taxicab, and with a court date over two months away, the defendant hired Attorney Topazio. Taking direction from his client to get him his driver’s license back as fast as possible so he could work again, otherwise risk losing his taxi medallion, Attorney Topazio explained that he could get him a twelve hour license or Cinderella license. Attorney Topazio contacted the District Attorney, immediately negotiated a resolution of the case whereby his client would admit to sufficient facts, lose his license for 45 days, and agree to attend an alcohol education program. Once a resolution was reached, Attorney Topazio contacted the Court and advanced the case for a change of plea. Under the law, Attorney Topazio pointed out to his client a provision whereby a defendant may immediately upon entering a program apply to the registrar for consideration of a limited license for hardship purposes. The registrar, at his discretion, may issue such license under such terms and conditions as he may prescribe. Any such license shall be valid for an identical 12 hour period, 7 days a week. This provision shall also apply to any other suspensions due to the same incident that may be in effect. Consequently, the defendant could receive a hardship license despite the 180 day suspension for the breathalyzer refusal. Result: The Defendant receives a CWOF and three days after entering an alcohol program received a 12 hour license thus being able to work. The defendant, who was represented by Attorney Topazio, was arrested for operating under the influence of alcohol (also known as OUI or DWI) when he was found unconscious in his motor vehicle, with an open bottle of vodka, the keys in the ignition and with the radio on. The client informed Attorney Topazio that despite being intoxicated, he never drove while impaired but rather, after being unable to find employment, damaged the steering column of his motor vehicle when parking it, and when he was unable to remove the key from the ignition, walked to a local liquor store, bought a bottle of vodka and drank it in his disabled motor vehicle and became intoxicated instead of walking home unemployed to face his wife and kids. Attorney Topazio hired a private investigator to corroborate his client’s story and to prepare the case for trial. Under Massachusetts law, “Operation” is not limited to driving a vehicle or setting it in motion, but encompasses also the intentional act of starting the vehicle’s engine; that is does any act or makes use of any mechanical or electrical agency which alone or in sequence will set in motion the motive power of the vehicle. Attorney Topazio argued at trial that an intoxicated driver asleep in a motor vehicle with the key in the ignition may warrant an inference of operation, but argued that the inference is rebuttable. Attorney Topazio proved that although his client was intoxicated when found by the police after conducting a well-being check, he did not drive while impaired but rather got drunk in his car. After trial the defendant was found not guilty. Result: After trial the Defendant found not guilty of operating under the influence. The defendant crashed his motor vehicle into a Jersey barrier tearing the front wheel off his motor vehicle. After flunking field sobriety tests and after registering a .203 on a portable breath test, the defendant was arrested. While at the police station, the defendant submitted to a breath test and registered a .18. The defendant hired Attorney Topazio to represent him. Today despite the Commonwealth’s recommendation for a conviction, the defendant received a CWOF or continuance without a finding, which is not a conviction under state law, instead of receiving a conviction. Result: Defendant avoids jail time and a conviction on his record. On 12/4/08, the defendant’s motor vehicle was stopped by State Police after several civilians radioed police that the defendant’s vehicle was operating erratically. After stopping the defendant, the officers detected an overwhelming odor of alcoholic beverage coming from the defendant, ordered her out of her vehicle and asked her to submit to field sobriety tests. The defendant who had difficulty exiting her vehicle could not complete the tests, used her car for balance and eventually sat on the ground. The officer arrested the defendant for OUI based on their observation that the defendant had slurred speech, engaged in uncoordinated behavior, and had an inability to focus on questions and instructions. After the defendant was placed in handcuffs, she refused to get into the police cruiser, and kicked the officer in the legs. The defendant’s motor vehicle was inventoried and an open vodka bottle was found as well as a container of Chemical Mace, for which the defendant had no license. The defendant hired Attorney Topazio to defend her. Attorney Topazio was aware that his client, who was a professional and licensed by the Commonwealth, would be at risk of losing her license if convicted of A&B on a Police Officer. Attorney Topazio contacted the prosecuting police officer and worked out an agreed plea whereby all counts against his client would be dismissed upon his client admitting to sufficient facts and receive a CWOF to the OUI and resisting arrest. A CWOF is a continuance without a finding and is not a conviction under state law. Result: All charges dismissed after defendant accepts a negotiated plea of CWOF to the OUI and Resisting Arrest charges. The defendant was observed by a civilian operator who called the police about the defendant’s erratic operation. The defendant, who was stopped at 2:20 a.m., produced a driver’s license which had a 5:00 a.m. to 5:00 p.m. driving restriction. The officer had the defendant perform various field sobriety tests, all of which he failed and he was arrested for OUI and unlicensed operation. At the station, the defendant was advised of his right to submit to a chemical test, but was unable to complete the test satisfactorily. The defendant hired Attorney Topazio to represent him. The defendant, who couldn’t recall much of events surrounding his arrest as a result of blacking out from alcohol consumption, requested that Attorney Topazio negotiate a favorable plea. Today, Attorney Topazio convinced the Court to dismiss the unlicensed operation charge and to sentence the defendant to an alcohol education program, thus avoiding the 60 day mandatory jail sentence that would follow a conviction for a conviction for a second offense OUI. Result: Defendant avoids mandatory jail time. The defendant was stopped via LIDAR traveling 70 mph in a posted 35 mph zone. The defendant submitted to various field sobriety tests and thereafter was arrested for OUI. The defendant hired Attorney to represent him in this case. After investigating the facts of the case, Attorney Topazio marked the case for trial. Today, at trial, Attorney Topazio was successful in getting the Court to dismiss the charges against his client.